The NYBB was founded in 1952 by Dr Denis Wright, OBE. 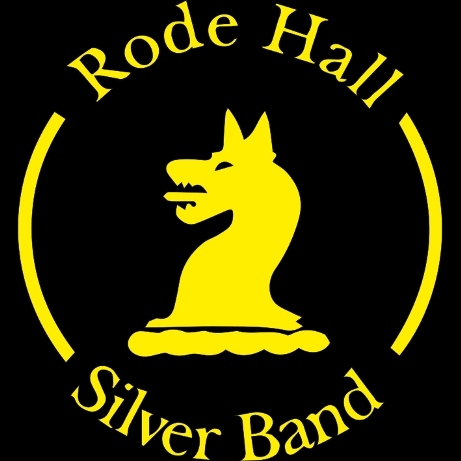 The band exists to provide opportunities for young people to play brass band music to the highest standards and is aimed not only at helping their playing, but also improving their musicianship and widening their musical horizons. Residential courses, lasting for one week, are held twice a year. These take place at Easter and in August at various centres throughout the country. Under the direction of a team of instrumental tutors and the Artistic Director or Guest Conductor, the players have intensive sectional and full band rehearsals daily. The music studied is carefully chosen, students often being introduced to works they would not normally meet. In recent years the band has commissioned many new compositions from leading composers, often with funding support from the Arts Council of England. A significant development to have taken place recently is the introduction of a composer's workshop where students can study composition with a leading composer. The band regularly records for BBC Radio 2 and Radio 3 and each course ends with a number of prestigious concerts. Over 4,000 players have taken part in the 118 courses held since the band was founded, including many who have since become world renowned performers and conductors. 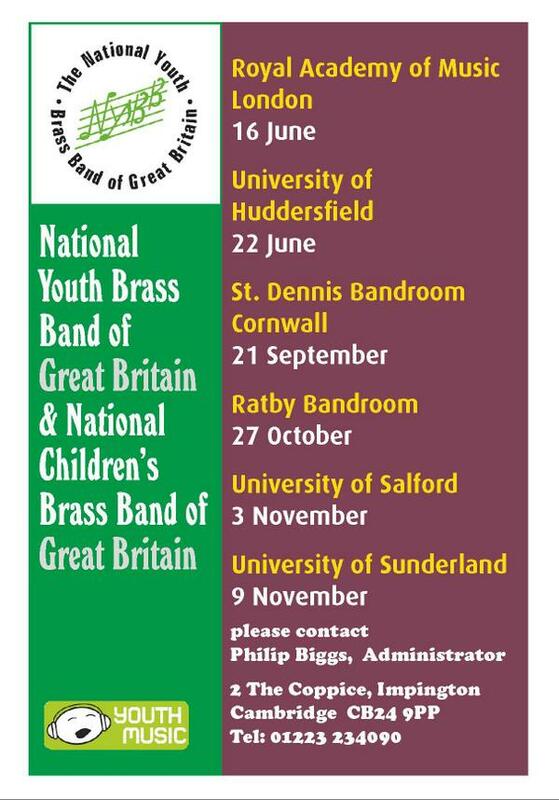 Membership of the National Youth Brass Band of Great Britain is open to any player of a brass band instrument between the ages of twelve and eighteen. Entry is by audition, held at various centres throughout the UK during the year. Recent concert venues include the Royal Albert Hall, Royal Academy of Music, Queen Elizabeth Hall, Ripon Cathedral and the Bridgewater Hall, Manchester. Guest Conductors who have appeared with the band in recent years include Michael Tilson Thomas (when the band appeared at The Barbican with London Symphony Orchestra Brass), Sir Charles Groves, Harry Mortimer CBE, Elgar Howarth, Derek Bourgeois, Edward Gregson, James Watson and Bramwell Tovey. There have been six Music/Artistic Directors in the band’s history: Dr Denis Wright O.B.E., Geoffrey Brand, Arthur Butterworth M.B.E., Dr Roy Newsome and Elgar Howarth preceded Bramwell Tovey who commenced a ten year tenure in January 2006.